Are you working towards the new professional standards and education requirements or considering switching careers and moving into financial planning? Kaplan Professional’s online Graduate Certificate in Financial Planning will give you the foundation you need for success. Purpose-built and curated in collaboration with leading advisers and industry experts, this Graduate Certificate equips you with practical, workplace-ready skills and knowledge. You’ll study four core subjects designed to give you a comprehensive industry overview, covering superannuation, insurance advice, applied financial planning and the economical, legal and ethical context for financial planning. You’ll explore the latest advanced concepts, techniques and strategies—and if you’d like to take your learning further, this course is also a direct pathway to Kaplan’s Financial Adviser Standards and Ethics Authority Limited-approved Master of Financial Planning. This course is part of a seamless and integrated postgraduate pathway encompassing a Graduate Diploma of Financial Planning and a Master of Financial Planning. If you haven’t already, you’ll also gain RG146 compliance in generic knowledge, financial planning, insurance and superannuation. If you hold a Chartered Accountant, Chartered Professional Accountant, Chartered Financial Adviser or similar designation and are keen to build on your existing knowledge base and work in broader or more specific financial planning positions, this degree is an excellent choice. Academic and/or professional qualifications demonstrating the potential to undertake study at this level. 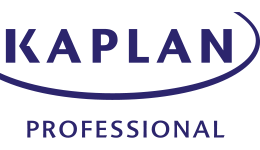 Upon successful completion of this course, you will graduate with a Graduate Certificate in Financial Planning from Kaplan Professional. apply all competencies required in providing appropriate services, advice and products to clients. Graduates will attain ASIC RG146 compliance and have a direct pathway to Kaplan’s Financial Adviser Standards and Ethics Authority-approved Master of Financial Planning. Those with Chartered Accountant, Chartered Professional Accountant, Certified Financial Planner or other accreditations will have developed further capacity to work in broader and more specific financial planning positions.